The 8 week programme teaches a mindfulness based approach to dealing with some of life's challenges such as stress, anxiety, fear, depression and pain. When we experience discomfort - whether mental or physical - we normally add to it by wanting to push it away or to make it better. Frequently this compounds the struggle and simply adds another layer of suffering to it. By learning to respond to situations with greater kindness and compassionrather that automatically reacting with habitual behaviours, we can find a different way of seeing, relating to and managing difficulties. The Mindfulness programme encourages us to live in the present, awake, and aware of what is happening right now, rather than dwelling in the past or anticipating the future. Many people are frantically trying to find stability in their busy, ever-changing lives and this (often unconscious) way of living causes an inner tension that frequently remains unattended. Developing a kinder attitude towards ourselves helps us to move away from self criticism and judgement to having more compassion for ourselves - even when we are struggling or have made some mistake. Specific self compassion skills are introduced during the course. Mindfulness can help us to see that we are all on a path that unfolds day be day, and that what happens now in this moment has an influence on the next. The only way we have of influencing the future is to own the present, so it makes sense to pay more attention to the present . Automatic pilot - how we spend much of our time in auto pilot not living consciously and thus missing out on a lot of experiences. How to face, with greater ease, the challenges and difficult situations that arise in daily life. Identifying and remedying habitual thoughts and behavioural patterns that keep us stuck in discomfort. The important connection between thoughts, sensations in the body and emotions. Taking care of ourselves so that we can live more healthy and satisfying lives. Allowing things to be as they are and learning to approach situations without judgement - be they pleasant or unpleasant. Turning towards the difficulties with care and kindness rather than ignoring them or avoiding them. Self compasion. Cultivating the skill of greater self kindness and compassion so that whatever arises in experience can be held with care rather than judgement. Moving from the busyness of the doing mode to the stillness of the “doing” mode. It is necessary to give yourself the space to commit to the whole programme and to make sure that you will be able to attend each class. Home practice is very important and it is helpful to allocate time to this before you start. It is suggested that you put aside30 minutes a day for the “formal” home practice for the duration of the course. The other practices will be integrated into your daily activities. A course book and guided meditation CDs are provided to support your home practice. Any extra reading is optional. Anyone with stress or stress related disorders, for example, physical tension, irritable bowel syndrome, tension headaches, PMT, difficulty in coping, irritability, palpitations, restlessness, sleeplessness, raised blood pressure, poor concentration and panic attacks. Those with a strong habit of self criticism, self judgement and negativity towards self. Those with interest in slowing down and living more consciously - spending less time in automatic pilot. Anyone wishing to manage conditions such as anxiety, worry, anger, depression, guilt and fear with more ease. People wanting to develop more understanding and compassion for themselves and others. Those feeling stuck and wanting to move on. People wanting to start or enhance a meditation / mindfulness practice. Anyone wishing to embrace life more fully. 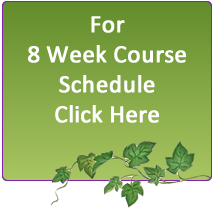 The majority of people that have completed an 8 week programme report a change in unhelpful negative habits such as self criticism, anxiety and negativity and rumination that fuels depressionand. Many report improvement in physical, emotional and psychological well-being. Most participants feel that it is the most significant course they have ever done, reporting it to be extremely practical and experiential. An increased ability to switch off and relax and to experience calm in your life. A greater ability to cope with fear, anxiety, worry and depression. A better understanding of how thoughts contribute to so much of our negativity. More clarity about the relationship between thoughts, sensations and emotions. A greater appreciation of how unique we all are. TO APPLY FOR A PLACE ON THE NEXT COURSE PLEASE FILL IN THE APPLICATION FORM AND SEND IT WITH A DEPOSIT TO THE ADDRESS GIVEN. Mindful Self-Compassion (MSC) is an 8 week training porgramme designed to cultivate the skill of self-compassion. This allows participants to respond to difficult moments and challenges in life with kindness, care and compassion. Self-compassion has three core components: Kindness, Common Humanity and Mindfulness. Kindness versus self criticism. Learning to cultivate skills of kindness for ourselves helps to encourage a caring, understanding and supportive attitude which off-sets that rather harsh and judgemental commentary that is so often present. With greater kindness we can learn to comfort ourselves when in difficulty. Mindfulness versus over identification with challenges. Cultivating the skill of paying attention to our eperience allows us to see more clearly what is present- the hurt, the envy, the anxiety, stress or depression. we can then choose to turn towards what is present with compassion and kindness rather than avoiding or supressing what is uncomfortable. Tuesday 9th April 2019 in Ennismore Retreat Centre, Cork. This is a wonderful course to help to ease the stresses arising from interpersonal interactions. This wil be held in Clonmel starting on the 10th April 2019 for 8 weeks. As I have been teaching these programmes for over 14 years they fill up in advance of the start date so early booking is essential. Revise the whole 8 week Mindfulness course in a day! CULTIVATING A PATH TOWARDS FREEDOM– 8 mindful steps to deepen wisdom, steadiness and meaning. This week long retreat is suitable for anyone with a mindfulness practice and that has done a weekend retreat in the past.